For the best in custom swag, look to the Core 365 brand. Known around the world, Core 365 promotional products are sure to impress your employees, clients and potential clients at company events, business expos and other industry outings. Promotion Pros offers the best in personalized Core 365 promotional apparel, with everything from jackets, vests, polos, T shirts and more for both women and men with your company logo. Show off your brand with customized Core 365 swag to give away at corporate events, industry trade shows and to say thanks to current customers. The branded Core 365 ladies motive pique polo with tipped collar is 100% polyester and moisture wicking to keep you fresh. This custom logo Core 365 ladies pinnacle long-sleeve pique polo features a heat sealed label for tag free comfort. The branded Core 365 men's brisk insulated jacket features elasticized cuffs. Our promotional Core 365 men's motive pique polo with tipped collar is moisture wicking for extra comfort and freshness. Our promotional Core 365 ladies pinnacle performance pique polo has a matching flat knit collar. This custom logo Core 365 men's agility crew neck shirt features matching rib neck trim and neck tape. The branded Core365 men's climate seam-sealed lightweight jacket features elasticized cuffs and a waterproof shell. This custom logo Core365 men's motivate lightweight jacket has elasticized cuffs and a chin guard. 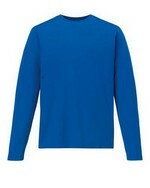 The branded Core365 men's pace pique crew neck shirt has matching rib neck trim. Our Custom Core 365 Ladies Prevail Packable Puffer features front zipper and lower pockets to create impressive Promo items.